Mother's Day Idea: Etched GlassThe Idea Door Blog had this great Mother's Day idea on their blog...to etch glass. 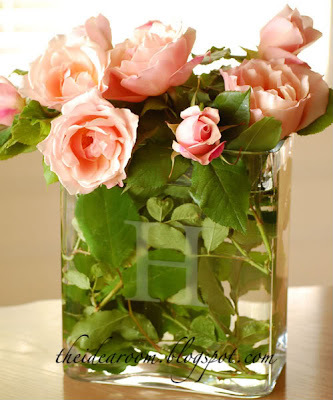 A vase, a cake pan or a plate...how great! I love personalized gifts and wouldn't any mom love something you make her?? Check out how easy it is on the Idea Door blog. Dream Kids Room HGTV did it again...I absolutely loved this room and was thinking I should talk my hubby into remodeling our bedroom to be like this...I get the top bunk though!! Check out more pictures on HGTVs website. Zipper Flip Flops Now these are original and creative, don't you think? Flip flops at the craft store are going to run you $1.99-2.99 at the most, the zipper a couple more dollars...and the end result, priceless. 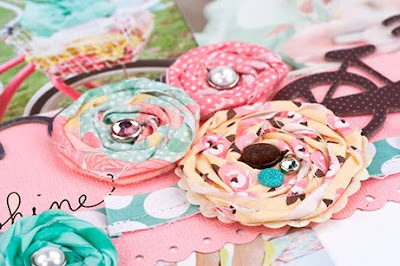 If you'd like to see how easy these are to make, check out this step-by-step flip flop tutorial. Cupcake Liner Carnations What a fun way to create flowers, especially for gift wrapping!! Martha Stewart will tell you how to create these fun cupcake liner flowers. 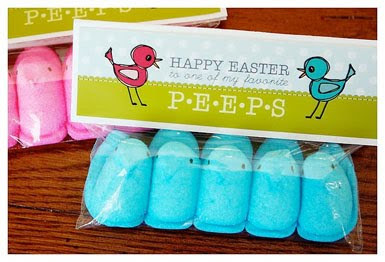 I hope everyone had a wonderful Easter, we sure did. However, I notice that as my kids get older our holiday traditions change a bit, but I'm okay with that. This week's post will be short...really busy this week. Yummy Colored Mini StaplersI love my scrapbook staplers...I own a mini stapler, I wish I owned the tiny attacher from Tim Holtz and I absolutely love my Stampin Up rotating stapler. 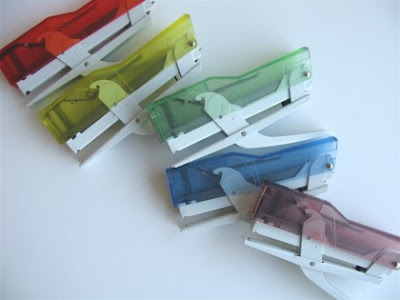 But how about these fun little staplers and I think you should have one of each color so you never have to change out the colored staples. These are Zenith Staplers from Germany. 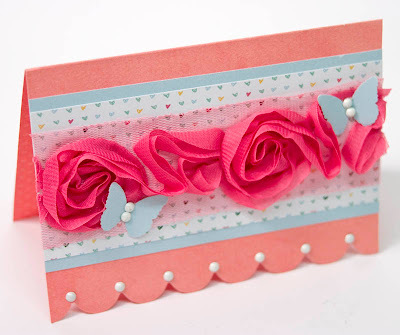 Yes, I do scrapbook sometimes...and every since I purchased this darling ribbon the other day and have been dying to use it...it's from the Dear Lizzy line from American Crafts and can I say that they need to make this ribbon in about 10 more colors...I'd buy it all!! I should note that the darling white pearl studs you see on the butterflies and the scallop are from the new Imaginisce i-rock program...can't wait for everyone to get to purchase these when they hit stores in June! !